A few days ago I came across a post/podcast by J. Baer on Convince & Convert (Jay’s posts recently inspire so many of our articles, you could call us fans 🙂 ) telling „You Should Give Your Customers a Slow Lane“. Reading this post, I thought “I am exactly this kind of person, who does not convert fast”. Actually – most people are. If I come across a new product, article, whatever I usually mark it for taking a closer look later. I have many ways of trying to keep track of all the things I find interesting but had no time to take a closer look at yet. And often I am lost to the owner of the product (meaning: I never come back), because I lose track, forget about it and end up using (or reading, watching, …) something else simply because I could not remember where I found that really interesting thing a while ago. – I guess I am not the only potential customer lost, because the product owner was going for conversions and did not offer me a slow lane. Although I actually would have converted later on. In marketing, we are often optimizing for fast conversions – and they are more than welcome. But the truth is, I am not the only person who will rarely make up her mind at first contact but rather try to stick around and let buying decisions simmer for a while. To really convert me and all the other hesitant prospects you need to stay in touch, remind them and be patient. Often I wanted to read last week’s post on a blog and forgot about it. And then I saw you posted another really interesting update. Thank you for the reminder, now I have to read both great articles! 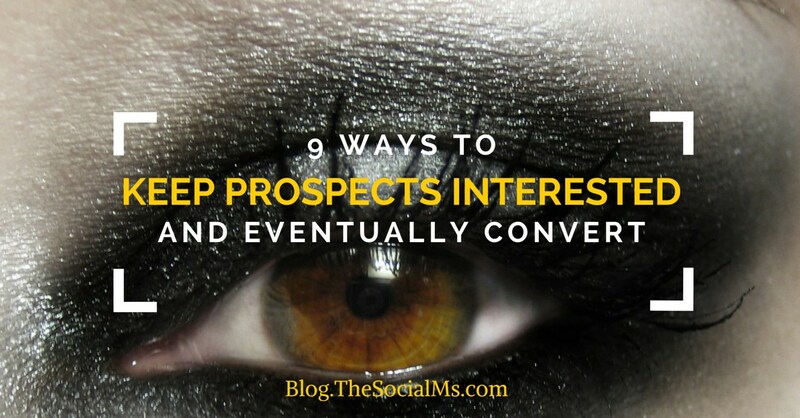 A steady stream of useful information does more than keep your prospects interested. It also helps to build trust and can easily serve as a very friendly reminder a brand exists without intruding or annoying with another sales call. There are many reasons I can think of why I would subscribe to a newsletter, even though I did not buy a product – yet. Maybe the time was not right, maybe I am waiting for some planned features to be implemented. Without a newsletter you are likely to lose me now. With a newsletter you can keep me updated on news and remind me again and again, that there is this great product, i am interested in. Recently I signed up for a 4-week trial of a pretty cool product. The only problem was, I did not really get to try out the product in the trial period – too busy. I ended up canceling the subscription. But they did not give up on me – and right they are. I did not refrain from buying the product because I was not interested, it just was not the right time. Even within that 4-week trial period, they got in touch, asking me if I needed help. And after the trial period, they stayed in touch sending me an email once in a while, offering an extended trial, asking for feedback, etc. When the time is right to purchase this product – I will be sure to remember them. At a better time, they might get me to buy the product. My email inbox is crowded. That’s why I do not like to subscribe to too many different newsletters. Still, I like to get updates by some of my favorite blogs and brands. Since I am on Social Media most of the time anyway, I follow some interesting brands on Facebook and I have a Twitter list of my favorite marketing blogs. I can easily stay on top of all the important updates they publish, without further cluttering my inbox. The advantage for the brands is, they stay on my radar. They can keep me posted on their products and services and eventually I am might buy a product from them. Especially more expensive products (or services) require some trust before people buy. Giving a free trial is not something out of the ordinary anymore. But even if you are not selling a product which allows giving a free trial, you can easily create something to give for free, to gain the trust of your potential customers. Actually, with this blog at The Social Ms, we offer you our marketing knowledge for free. But there are many more ways you can go: We offer a free Email course on traffic generation. Many people who sell a book, offer a chapter for free. Free Whitepapers, free webinars, … There is always something you can offer for free to build trust and stay in touch. People who trust you and believe in your expertise are much more likely to buy from you. An already interested prospect can often be turned into a customer with a special offer. It is a matter of psychology that we like to make a good deal, and often “fall” for a special offer, even if the price was not the reason for not buying the product in the first place. Especially if I like the product but am undecided when would be a good time for a purchase, your chances are high to make me take the next step if you offer me something special. 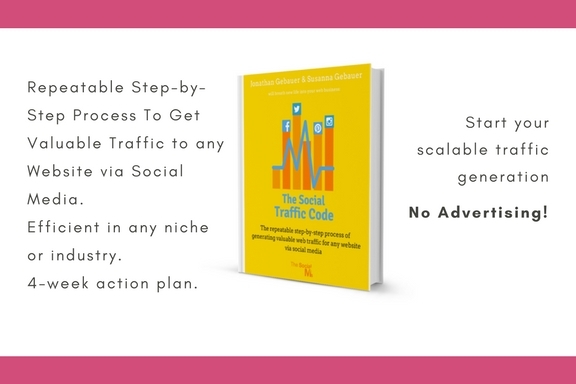 There is more to social media success than traffic. And we got you covered. There are no better spokespeople for any brand than you happy customers. Apart from happy customers being the best way of showing the usefulness of a product, testimonials have another advantage: While you yourself are often very proud of your technically advanced product – customers tell how the product helps them with their own business. These two are often very different stories that complement each other to a more thorough picture. Personally, I prefer (longer) customer reviews to the one-sentence testimonial statements many companies have on their web page. I want to know HOW customers use the product, a one-sentence praise does not give me much value. This is your one chance of convincing a prospect not only of the usefulness of your product but also of the great service you provide. And as much as good customer service can convert you, new customers – bad customer service can make you lose them. A person interested enough to contact support is worth your effort! Be careful to make this not purely promotional or you will lose the attention of your prospect rather than gaining a new customer. For example, I can teach you about the benefits of using social media for your business. Would you still listen to me if I kept talking about the benefits of hiring me as a consultant? Forget about sales language and offer real help! There are multiple ways of getting useful information to your interested prospects: Use your newsletter, offer webinars or podcasts, have an FAQ page, write tutorials etc. As so often in business a “no” from a potential customer does not necessarily mean “no never”. To turn a “not now” into a “yes” you need to stay on your prospects radar. There are multiple ways of doing that. What do you do to convert a “not now” into a “yes”? What have I missed?